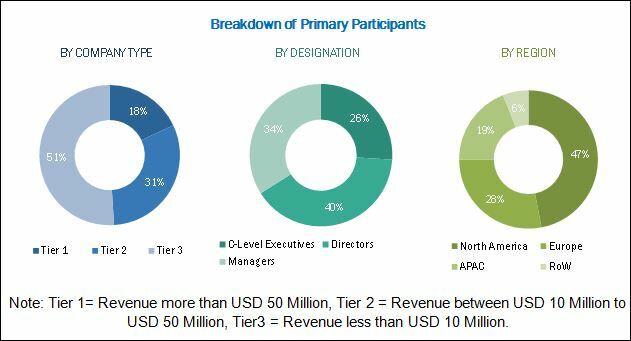 [149 Pages Report] The automatic number plate recognition (ANPR) system market in 2016 was valued at USD 1.78 Billion and is expected to reach USD 3.57 Billion by 2023, at a CAGR of 9.74% between 2017 and 2023. The base year considered for the study is 2016 and the forecast period is between 2017 and 2023. This report provides a detailed analysis of the ANPR system market based on type, component, application, and geography. The ANPR system utilizes the optical character recognition technology to read the registration plates of vehicles. The license plate recognition technology, which primarily consists of software, is used to enable computer systems to automatically read the license number/registration numbers of vehicles from digital pictures. Two components are involved in ANPR systems: camera and software. The camera is used to detect passing vehicles, capture their images, and send the images to a computer for processing. The software is used to recognize the characters on the number plate and stores them in a database. This report provides valuable insights regarding the ANPR ecosystem that includes product manufacturers and suppliers, OEMs, suppliers and distributors, electronic device manufacturers, and semiconductor device manufacturers. Kapsch TrafficCom AG (Austria), Q-Free ASA (Norway), Siemens AG (Germany), Bosch Security Systems, Inc. (Germany), are some of the leading companies that offer ANPR systems. The automatic number plate recognition(ANPR) system market is expected to be worth USD 3.57 Billion by 2023, growing at a CAGR of 9.74% between 2017 and 2023. The market within this study has been classified on the basis of types, components, and applications. The need to deploy camera technologies for security and surveillance, and traffic enforcement applications and infrastructure growth in emerging economies are some of the significant growth drivers for the ANPR system market. The types of ANPR systems are fixed systems, mobile systems, and portable systems. The major components of these systems are cameras, software, frame grabbers, and triggers. ANPR has its applications including traffic management, law enforcement, electronic toll collection, parking management, and access control. The report delivers a description of each of these application areas. The Fixed ANPR system is expected to hold the largest market share between 2017 and 2023. The market growth can be attributed to the increasing demand for these systems for monitoring traffic and collecting data in highways, bridges, tunnels, and public and private parking spaces. The mobile ANPR system is expected to grow at the highest CAGR between 2017 and 2023. These systems are widely preferred by various police and law enforcement agencies for ensuring proper security and surveillance. ANPR cameras accounted for the largest market share among components in 2016. The increasing adoption of cameras for law enforcement and traffic management applications is a major driver for this market. The software market is expected to grow at the highest CAGR between 2017 and 2023. Rising incidents of vehicle thefts and increasing criminal activities have led to the growing demand for real-time identification and tracking systems in the transportation sector. These factors are driving the growth of the software market. The traffic management application accounted for the largest market share in 2016. 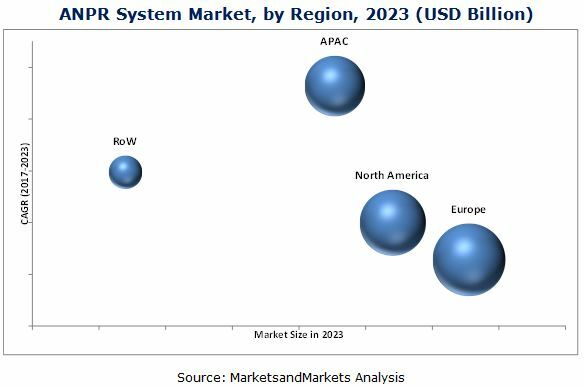 The increasing demand for ANPR systems in urban areas due to high traffic congestion is driving the growth of the ANPR system market for traffic management applications. The market for the electronic toll collection application is expected to grow at the highest rate between 2017 and 2023. The increasing adoption of vehicles and stringent government regulations by various countries for implementing electronic toll collection systems is driving the growth of the ANPR system market. Europe held the largest share of the ANPR system market in 2016, and it is expected to grow at a moderate CAGR between 2017 and 2023. The market in APAC is estimated to grow at the highest rate during the forecast period. The demand for ANPR systems in APAC is expected to be driven by increasing public infrastructure and highways. Inconsistency in number plate designs is the restraint for the ANPR market. Number plates differ in terms of their size or fonts in every part of the globe; due to which, it becomes difficult to construct an algorithm that would read all fonts without any discrepancy. Kapsch Trafficcom AG (Austria) is the world’s largest clustered organization that offers a diversified product portfolio. The company has developed innovative products catering to the ANPR system market. Kapsch TrafficCom AG comprises development, installation, and operation of ITS solutions including cameras for tolling, traffic management, and other mobility applications. The company offers many solutions such as terrestrial free-flow tolling, satellite free-flow tolling, and plaza tolling for road users. 11.11 Bosch Security Systems, Inc.
11.13 Digital Recognition Systems Ltd. Details on Business Overview, Products & & Solutions Offered, Strength of Product Portfolio, Business Strategy Excellence, Recent Developments, Key Relationships Might Not Be Captured in Case of Unlisted Companies.